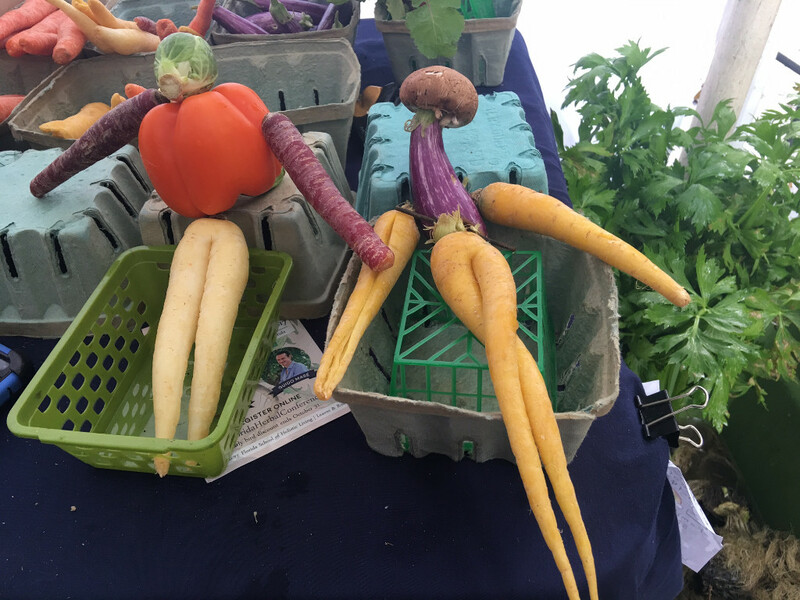 Vendor Newsletter: Unique Art, Bountiful Produce, and More at the Farmers Market! It looks like tomorrow is going to be much better weather-wise, so we definitely have that to look forward to. Also, I haven't been able to present the Curbie Award Winner for 2016 with their prize because he or she has not been present at the Market, so tomorrow should be the day! Don't forget to send me information and pictures about your business so that I can update your page on the website, promote you on Facebook, and promote you in the newsletter. Finally, the LDDA is now located in a shiny new office in the heart of Downtown Lakeland on 117 N. Kentucky Avenue across from Munn Park. As a result, our email addresses have changed! Last Saturday was not so fun between the wind, the rain, and the plummeting temps. But luckily, tomorrow we get a chance to do it all over again. So please join us for another great morning of delicious food, bountiful produce, and some of the most talented local artisans. If you're interested in seeing what all of our Market vendors have to offer so that you can plan your trip accordingly, peruse our website. See you on Saturday! Would you like to sample some fresh fruits and vegetables from our produce vendors? 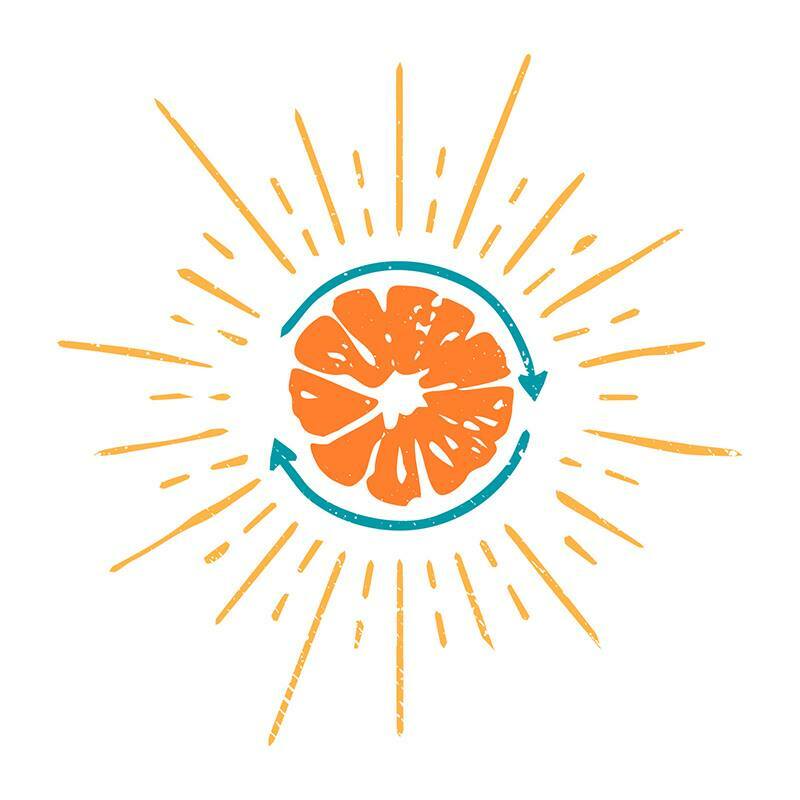 Volunteers from the Enactus community service group at Florida Southern College will be offering free samples between 10am and 2pm this Saturday on the corner of Pine Street and Kentucky Avenue next to the Fresh Access Bucks tent. Not sure what's in season? Check out some of the delicious Produce Picks of the Week! 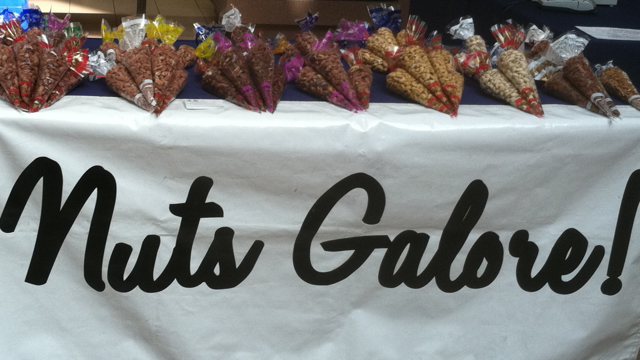 Nuts Galore has fresh, roasted-on-site nuts. They have warm, roasted cinnamon almonds, which are made all morning long. Get them while they're hot! Also, mention that you read about Nuts Galore in the newsletter and receive 50 cents off a small bag of cinnamon almonds or $1.00 off of a large bag! 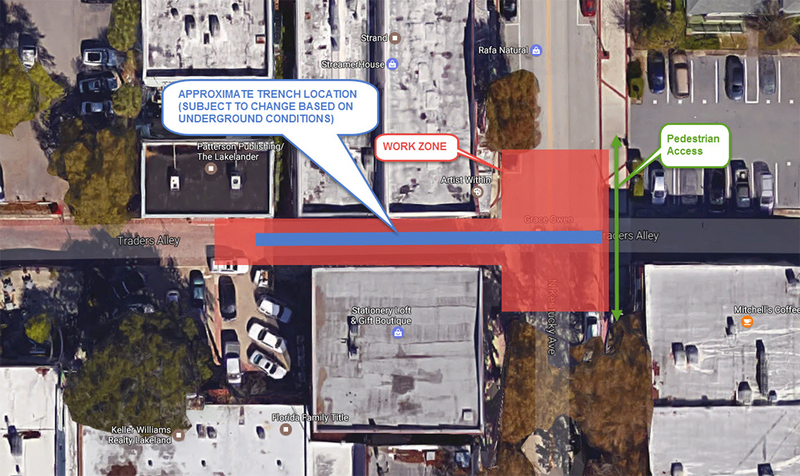 As part of the Downtown Area's continuing renewal, restoration, and growth, Market customers and vendors will need to be patient for the next few weeks as the City of Lakeland’s Public Works Department installs a storm drain in Traders Alley. This work will close North Kentucky Avenue at Traders Alley as well as parts of Trader’s Alley. Work began Monday, January 9 and is expected to take under 4 weeks to complete. No work will be done on Saturdays, and customers will still be able to navigate through the Market using the sidewalk on the east side of Kentucky Avenue. None of the Market parking areas will be affected. You can learn more about the work here.